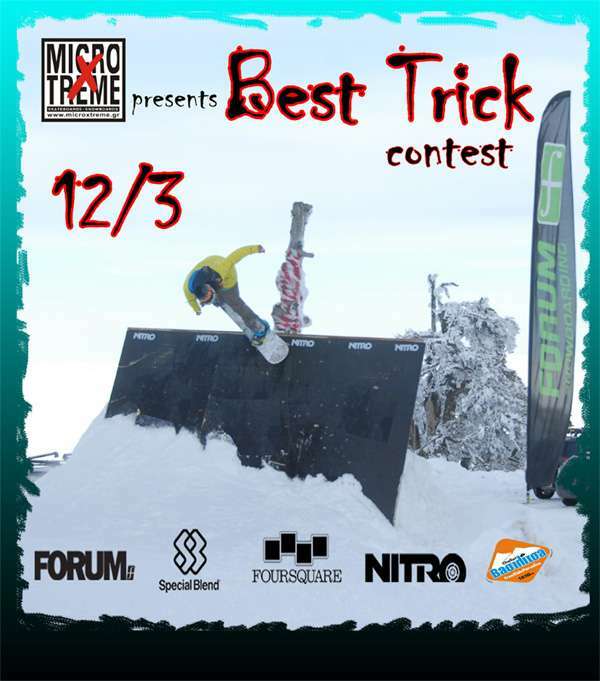 Microxtreme is presenting the Βest Τrick contest on Saturday the 12th at Challet 1850 snow park. Ιn addition to the High Bass Levels that will be on during Friday and the rest of the weekend, athletes may compete for the best trick whilst enjoying the rest of the festival. Get ready, set and go kick it just for fun!